Despite the fact that it is the most popular e-commerce payment method, PayPal online casino is not easy to find. PayPal is owned and operated by EBay Inc. and that’s probably the reason why it is not a common method in online gambling world and limited only to certain markets and only to the most reputable brands. 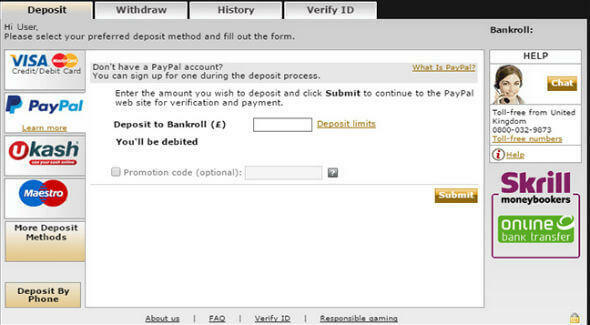 Below you can find a list of the best PayPal online casino sites and a short deposit guide. PayPal casino deposits are available only to players from: UK, Germany, Austria, Denmark, Finland, Ireland, Portugal and Sweden. Players from other countries, please visit our Casino Deposit Methods section. Simple. As simple as buying a book on Amazon or a handbag on eBay. Fast. It takes about 30 seconds to make the deposit and the funds will appear instantly in your casino account. Paypal withdrawals take the same time, but here it depends on how long it takes the casino finance department to click the Send button. The casinos listed here handle Paypal withdrawals instantly or within few hours tops. Safe. If you deposit with a credit card, the gambling site gets hold of your card details. Not only once, but every casino that you sign up to. With Paypal, you do not share your details at all. You can signup to 100 sites and none of them will have access to your credit card or banking details. No fees on purchases or deposits. You might be charged with standard fees on withdrawals. Last. Another advantage of using PayPal is that they are extremely picky in choosing the companies they work with. Therefore, PayPal online casino is a sign of trust and reputability. If they felt safe to do business with them, so should you. Depositing with PayPal is similar to making a purchase in any online store and it takes literally 30 seconds. Enter the amount and click next. You will be redirected to PayPal website. Log in to your account and approve the transaction. If you don’t have an account, it takes just 2 minutes to set one up. Click on the Sign Up button at top right corner. Select your country, language and account type, individual or business. Till 2003, PayPal was the largest payment processor in online gambling industry. In 2003, they left online gambling market completely, only to return 7 years later. However, the company operates only in legislated markets and only with licensed and reputable online casinos. That’s truly the only disadvantage of this method – there are literally only a handful of casinos that accept PayPal. We hope that with more countries legislating online gambling, the number will grow. Originally, PayPal wasn’t PayPal at all. It was called Confinity, similar to the company that created it. Many refer to Elon Musk as the inventor of Paypal. Technically, that’s not 100% correct. PayPal (Confinity) was created by Max Levchin, Peter Thiel and Luke Nosek in 1998. Only 2 years later, in 2000, the company merged with Musk’s X.com, another online banking company. What is PayPal Mafia? This is the term used to describe a group of founders and initial employees, which went on to rock our world. Those guys are responsible for many world famous companies such as Tesla, SpaceX, Solar City, LinkedIn and co-founded Youtube, Yelp and many others. Who is Bill Harris? Bill Harris (together with some of the Facebook founders) is the “Pete Best” of the dot com. If you don’t know who is Pete Best, he is the guy that left The Beatles few months before the burst of Beatlemania. Bill Harris was the CEO of X.com. He left the company in May 2000 due to disagreements with Musk. In 2002 the company was acquired by eBay for 1.5 Billion dollars. Currently it is worth $45 Billion.